Yu-Gi-Oh! 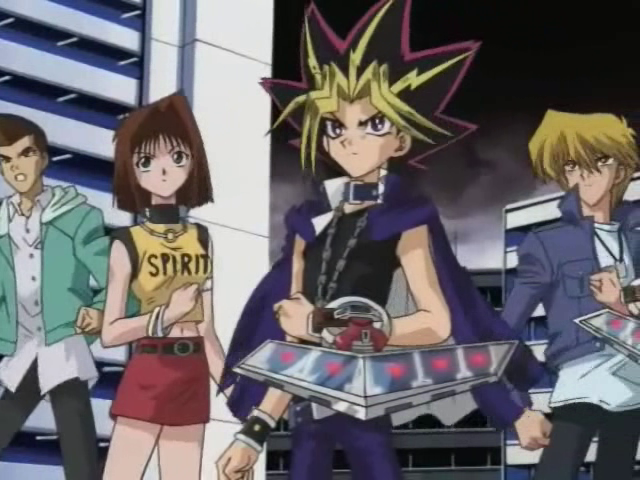 Duel Monsters & SCRAP’s First Collaboration is Confirmed! An Interactive Mystery Game Is Being Held In 3 Cities Across Japan! More Information Will Be Released At A Later Date! Kaiba Corporation, which has made the leap forward as one of the leading businesses in the world economy under the charisma and mind numbing financial clout of President Seto Kaiba, having further improved its Solid Vision system, has developed the “Solid Vision Sphere”, which can reproduce the entire city with Solid Vision, and properly test it, Kaiba Corporation has invited the latest and greatest system testers to test it out. Under the orders of Kaiba, once the device is activated, the surrounding area will be turned into the world of Battle City. In this virtual space, you will experience Duels from Battle City as a tester. “Come, Duelists, in this VR recreation of Battle City, seize the title of Duel King!! Shady red boxes lined against a wall. They are mailboxes that contain letters from people in various stores. By solving the mystery hidden in the envelopes, you can open the door of the box with the key you’ve obtained. Upon opening it, you’ll obtain the next part of the story. When you open the final box, you and the game’s story will be connected. ※ Specific dates will be announced at a later date. ※ If Advance Tickets are sold out, we will not sell day tickets that day.